2015 marks the 600th anniversary of Agincourt, one of England’s greatest military victories. It also brings the focus onto the victor of Agincourt, Henry V, immortalized by Shakespeare and brought to the big screen by Branagh and Olivier. Great warrior though he was, however, Henry – typically for his time – was also a major patron of the arts, and a contemplative and devout figure seeking the support and patronage of favoured saints. 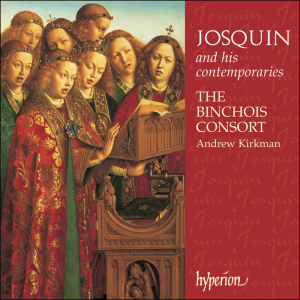 He was even a skilled composer, two of whose works have survived. 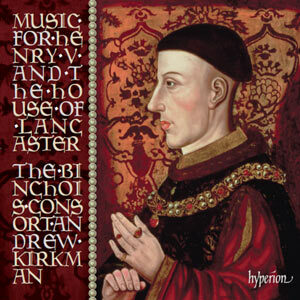 Our programme presents both sides of Henry: the redoubtable military and political figure celebrated in the famous Agincourt carol, in great state motets, and in chants and acclamations composed directly for Lancastrian coronations; and the man of piety revealed in his own setting of the Gloria of the Mass, and in the polyphonic Mass and rhymed office chants for St John of Bridlington. This Saint John, a Yorkshire divine canonised in 1401, was a favoured Lancastrian saint, invoked and honoured by Henry, as also by his father and son. 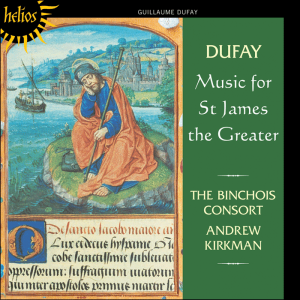 Like early-fifteenth century life itself, the music of the time is colorful and surprisingly varied: a world of energy, rhythm, drive and color which we bring vividly to life in our programme. 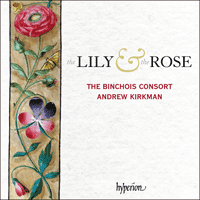 Founded by its conductor Andrew Kirkman in 1995, The Binchois Consort has performed widely in Europe and the United States, and has recorded nine discs on Hyperion Records to stunning critical acclaim. 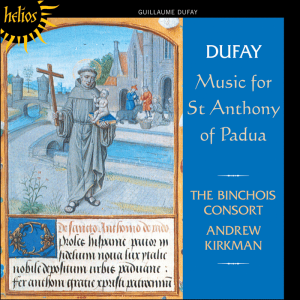 Its recordings have won numerous music industry awards, including ‘Recording of the Month’ and ‘Early Music Disc of the Year’ in Gramophone magazine, ‘Diaposon d’or’ in Diapason (France), ‘G5’ in Goldberg magazine and ‘five stars’ in BBC Music Magazine. 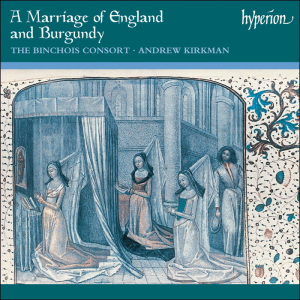 The group’s recording ‘Music for Henry V and the House of Lancaster’ (see above) – some pieces from which will be sung on this tour – was a ‘Critics’ Choice’ in Gramphone magazine, and a ‘Choral Choice’ in BBC Music Magazine, where it was praised as a ‘magical and moving chance to hear music directly from the circle of Henry V.’ The disc also enjoyed striking success on the UK classical charts! Full reviews are available on request.